We spoke a bit last week about the best safety procedures for pallet jack operation, but why exactly is it that every warehouse has to ensure that employees know how to handle a pallet jack? One reason is that, unlike other warehouse equipment such as a forklift, there is no specific license required to operate a pallet jack. 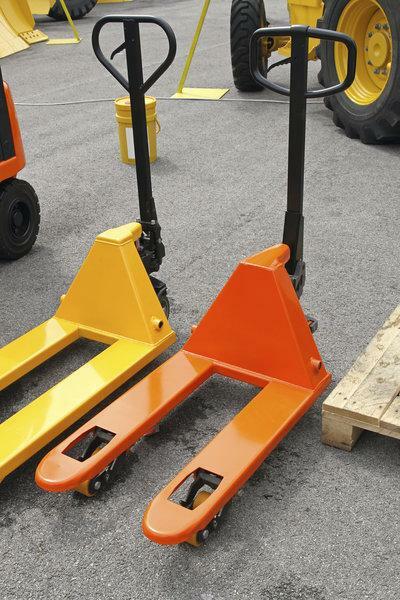 This means that technically, anyone could use this valuable piece of materials handling equipment. But just because anyone can does not mean that just anyone should, at least not without proper training. Read on to find out more! Why Does OSHA Not Require an Electric Pallet Jack Operator’s License? OSHA, or the U.S. Department of Labor Occupational Safety & Health Administration, sets the basic standards for safety in all manner of workplaces. They create certification programs and tests for people to follow in order to give them licenses to operate specific kinds of machinery, but not electric pallet jacks. While heavier/higher –risk warehouse equipment, such as forklifts, do require licensing on an official level, licenses or certifications for pallet jack operation are left up to individual warehouse managers to create. Because each individual company has to instruct their workers on the proper operation of warehouse equipment like pallet jacks, it is important that they ensure each employee has passed their unique standards before proceeding with work. While an electric pallet jack may not be the most dangerous item in your warehouse, it still has the potential to be mishandled, which can lead to property damage or injury. Make sure that each employee in your warehouse knows the essentials of pallet jack operation, including how much weight a given pallet jack can support, how to start and brake, how to avoid collisions, and what to do in the event of an emergency. Being thorough with your pallet jack safety certification will help everyone in your warehouse stay working safely and efficiently. S.W. Betz is a proud distributor of Wesco Manufacturing pallet jacks. This entry was posted on Tuesday, January 27th, 2015 at 2:57 pm. Both comments and pings are currently closed.